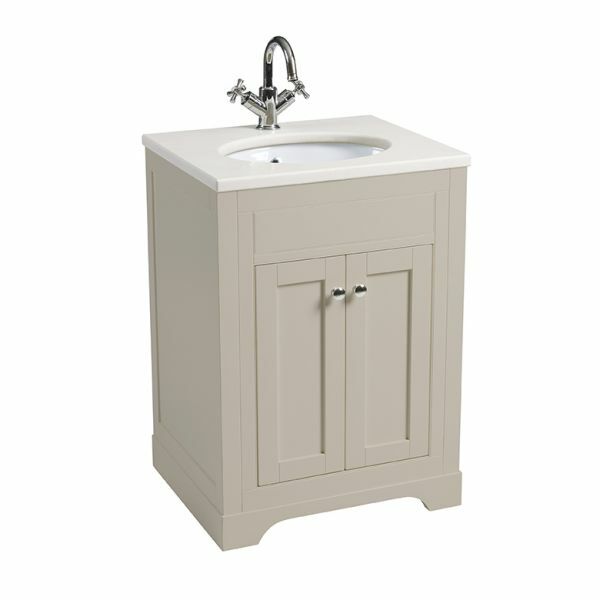 Combining superb craftsmanship with stunning cabinetry this stylish cobblestone 600mm freestanding bathroom unit features 2 flat fronted doors, and a single internal shelf to store all your toiletries. This unit comes with a underslung ceramic basin and a choice of honed marble or stunning solid surface worktops. The freestanding unit comes with chrome handles as standard, however for a different look porcelain handles are available to purchase separately. A complete breakdown of the pricing for the Marlborough 600mm Freestanding Unit, Honed Marble Worktop & Underslung Basin. To complete your Marlborough unit & underslung basin, choose from our collection of stunning marble and solid surface worktops. Optional porcelain handles are also available to purchase separately.